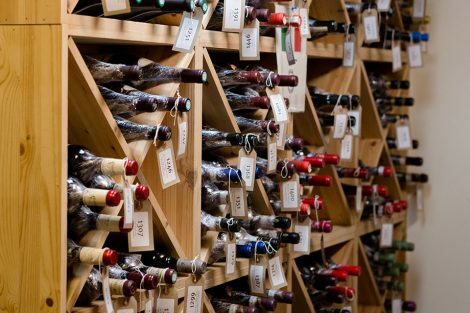 Whether you are a wine connoisseur, a novice or simply love a fine wine with your dinner, Whatley Manor is the perfect destination for you. Daniel Davies is our head sommelier and learnt the tricks of his trade from connoisseurs Guillame Gorichon and Sergio dos Santos at Cliveden House, before joining Whatley Manor. With a passion for wine, but more importantly the story that each wine has to tell, Daniel and his team provide guests with an unforgettable experience whether you are dining in The Dining Room, Grey’s Brasserie or The Green Room. For those extra special moments treat yourself to fine dining and matching wines. Choose either the wine flight (£80) or take it up a notch with our premium wine flight (£156). Private wine tasting- Create the perfect wine tasting experience for you and your group. Our wine lists are always a ‘work in progress’ as we are always looking for new and interesting wines to add to our growing collection.